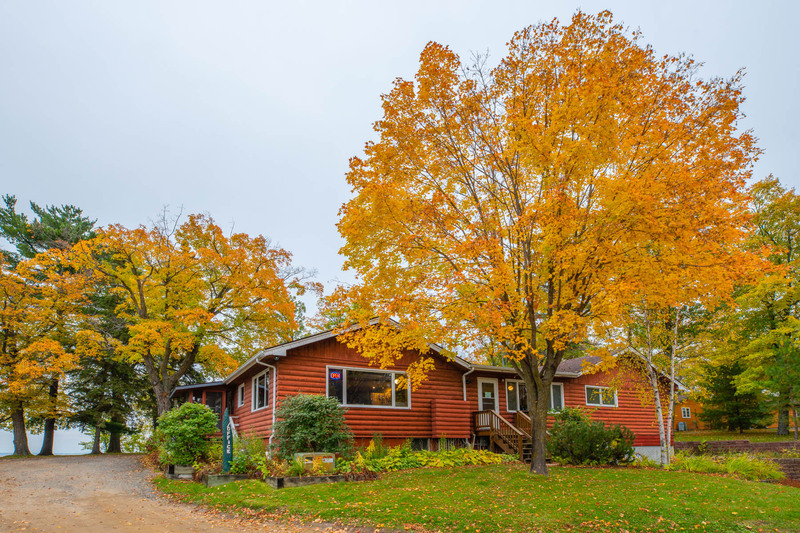 The Lodge at Big Rock Resort was constructed in traditional style of Northern Minnesota buildings. 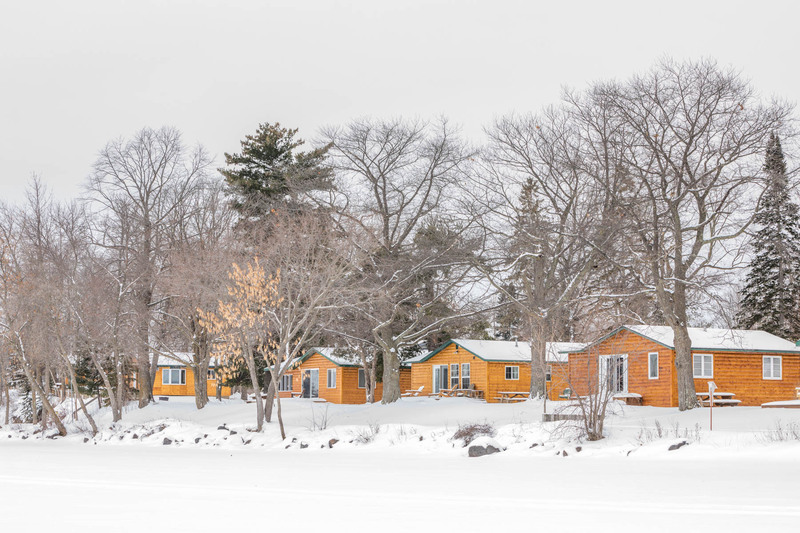 The exterior has half log siding while the interior has knotty pine paneling with large windows providing views to Leech Lake, the harbor and the resort grounds. Two large stone fireplaces, large screen TV, bar, small store, library and a few good storytellers complete the interior scene. The Lodge is an active place to have fun and meet your friends. Very large ice cream cones are a favorite. Large mugs of root beer are available at the bar where you can also order sandwiches and pizzas. The lodge also carries groceries, snacks, fishing tackle, souvenirs and supplies. And quite a selection of clothing that will make you a true northern Minnesota native. We have a separate recreation room for the kids (or the kid in all of us) with a pool, foosball, and air hockey tables. The focal point of Big Rock Resort is the large, picturesque, and safe harbor. The cabins and recreation facilities surround the harbor. With its floating dock system your boat will be protected and easily accessible. 50 boat slips with gas, oil, and Polar Kraft 18.5′ fishing boats for rent, and 2 25′ pontoons. Helpful dock crew and free fish cleaning and freezing. The harbor is also a place to observe birds, ducks, geese, otters and to catch fish! The launch ramp is not steep but has deep water for landing large boats. 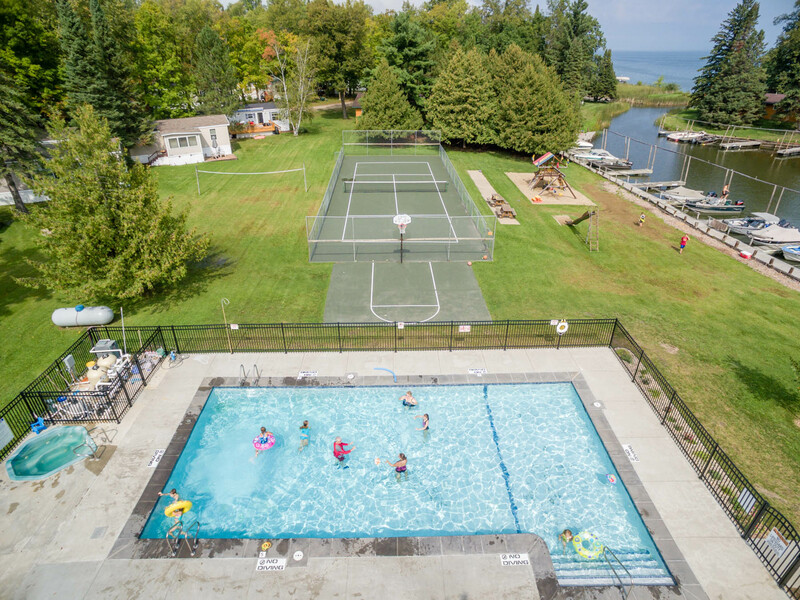 Big Rock Resort has the fun and relaxation you deserve at a price you can afford. Swim and sun bathe in our heated pool and large sun deck. Relax in our spa. 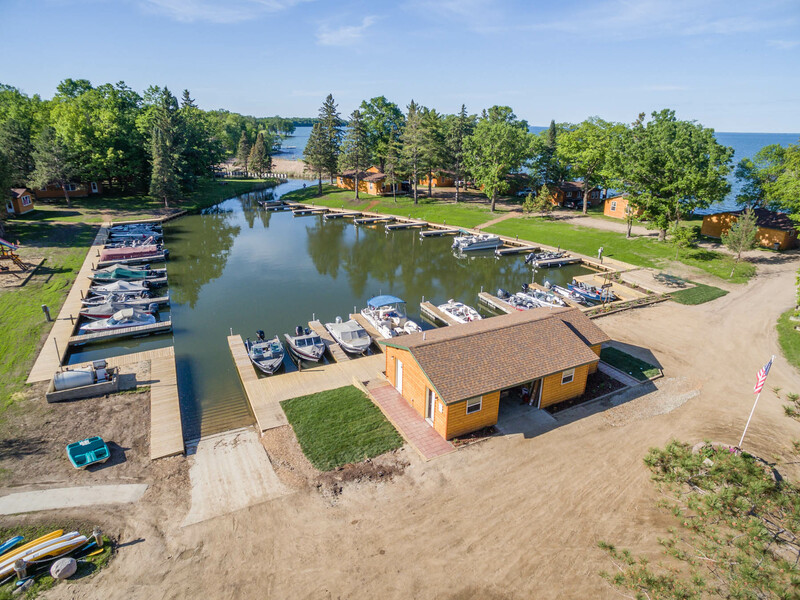 Or just enjoy yourself at our tennis court, basketball court, playground, volleyball, and horseshoe pits or our new water trampoline placed out in front of our lodge in the sandy waters of Leech Lake. Please click on any page to get a more complete understanding of Big Rock Resort and the Walker, Minnesota Area. Many of the scenic photographs are located in cabins as framed artwork.